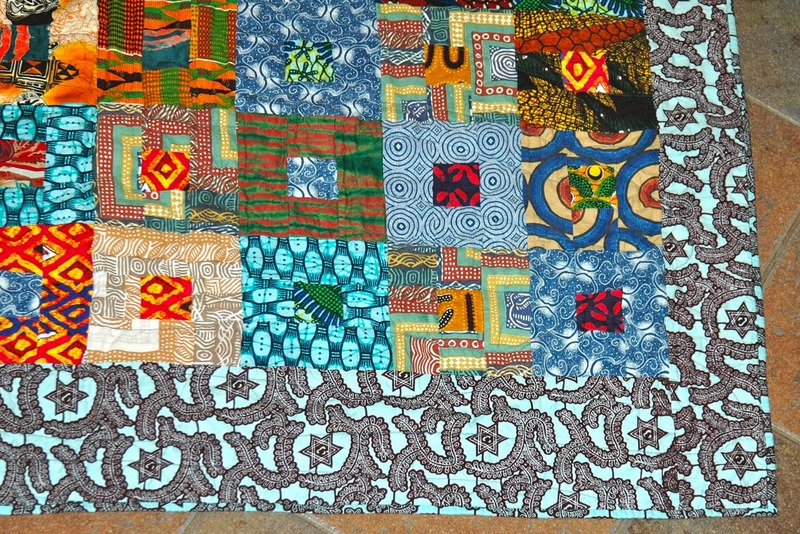 In my country Ghana, “Asasaa” is the name given to a cloth made of different patches of fabrics. The lyrics of Dolly Parton’s song made me remember late grandma’s “Asasaa” cloth she blessed me with when I was going to the boarding school for the first time in my life- somewhere in my teen age. I recall how she pulled me to her room, sat me down on her bed and happily off-loaded the old wooden boxes that were packed on each other one after the other, till she got to the final box, where she pulled out her “Asasaa” cloth and presented it to me as a gift with a bold smile. Truly, I remember that scenario very well. She said to me, “…….here my daughter, this was a gift from your great grand-mother(my mother) to me. I have kept it still this day and I want to give it to you because you’re the one after my heart. She gave me a long speech about the cloth, then finally concluded saying; Go and use it in remembrance of me. Any time you cloth yourself with it, remember how dear you are to me…….”. Frankly speaking, that day was the best moment of my life till date. Her facial expression and mine curtail the love we both shared, of which she still remains my bestie. Sacredly, I still keep this cloth even though it’s old. One day, my kids will ask me, where from this tattered piece of cloth with many colors? I will tell them how it came about and why I still keep it. And I know, sweet granny would give me an invisible smile from Heaven above. Thank you, Dolly Parton, your song lyrics best describes my grandma’s “Asasaa” present to me; the very last present from her before she passed away. I surely will, but that will be when we meet. Thank you. What a touching story. I have a dear friend from Ghana who has given me several garments from Ghana, and made by family members. It’s such bright, cheerful fabric. And how much more special yours is, because of that love between you and your grandmother. I really enjoyed reading this. The deepest love have I been wrapped with is my mommy’s greatest love. Though she lives, I see her everyday but am scared of loosing her someday. Not the same as Dolly’s neither as comparing to yours but the feeling is alike if not the greatest. “Kojo, I have nothing to leave you with but I give you what my mother (my grandmother) gave me and that is God. I give to you also This God please look after It with all your heart. That is what has helped me till now (I wonder if she thought she was not going to make it). The passion she poured that night keep echoing in my dreams each and every night. I love your story because that is the only best gift a mother can give to a daughter, grandma’s parcel. Anyway Grandma’s Parcel is a book am writing. Hmmm, Kojo……….honestly, I’m short of words. Indeed, your mum gave you the best present ever, just hold on to that God and your life will never be the same. Looking forward to reading your book on Grandma’s Parcel. Thanks a lot for passing by. Thank you and thanks for passing by my blog. I wrote a new blog.